The annual Consumer Electronics Show, now simply "CES," is upon us once again. Over the last 50 years, CES has grown along with the industry it serves to become one of the world's major showcases for new technology. Halls that are now filled with autonomous cars, 4K flat-screen TVs, and advanced wireless devices were once home to record players, cassette tapes, and black-and-white TVs. 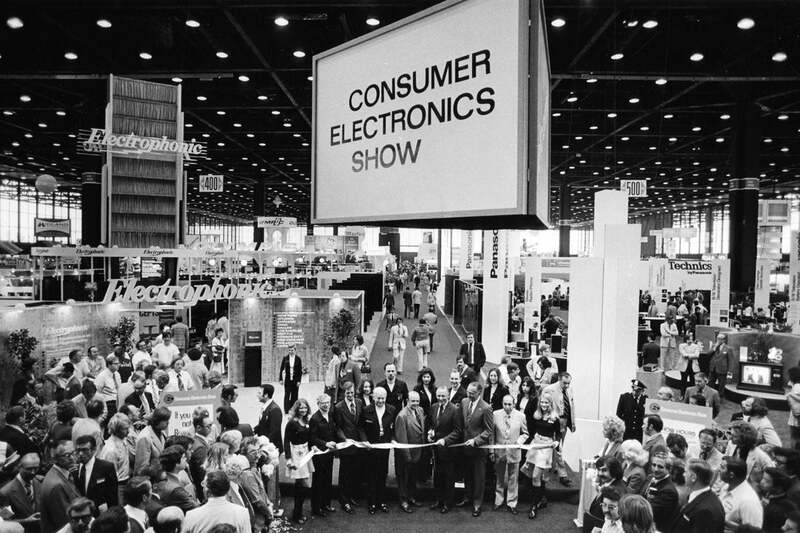 Here's a look at CES in its early decades. 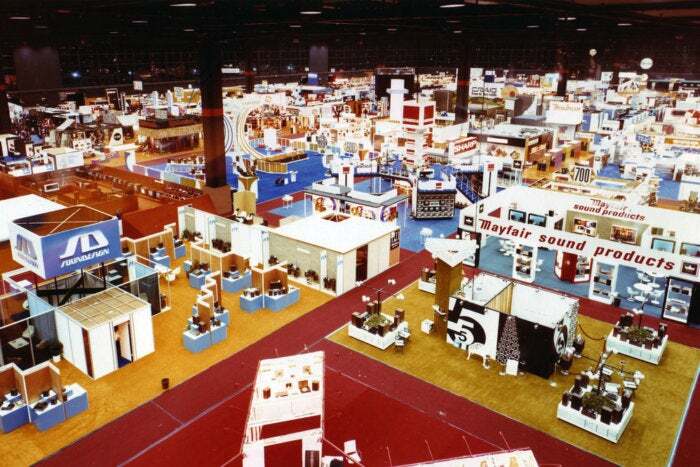 CES debuted in June 1967 in New York and featured 117 exhibtors, including turntable manufacturer Scott. 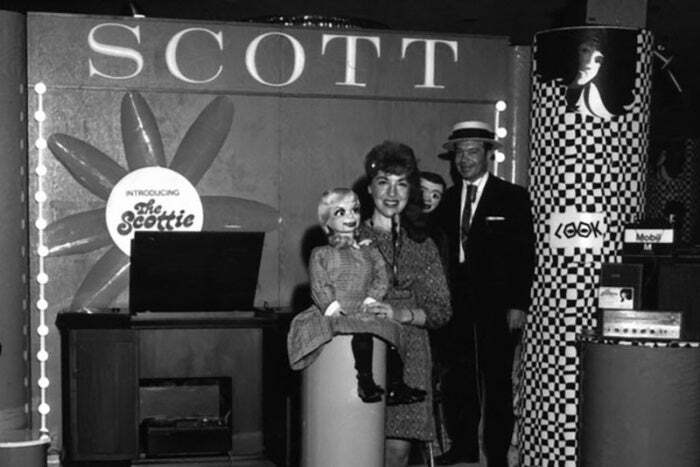 Details on the products it showed in 1967 are scarce, as is an explanation of what appears to be a ventriloquist's doll, but it shows that stunts and attractions were a part of CES from the very beginning. The show attracted about 17,500 attendees to the hotels where it was being held. Long before digital music, the world was analog, and the kings were the vinyl record and compact cassette. 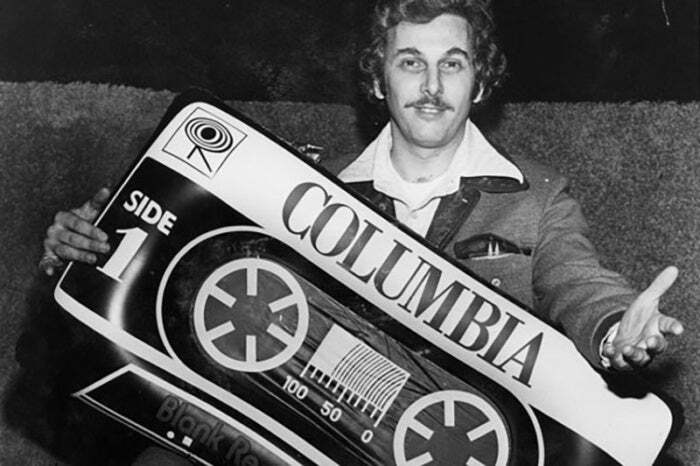 Developed by Philips in The Netherlands in 1962, the cassette format was beginning its journey to conquer the world in 1968 when this photograph was taken during the second year of CES. Billions of the things have been sold worldwide since their debut. 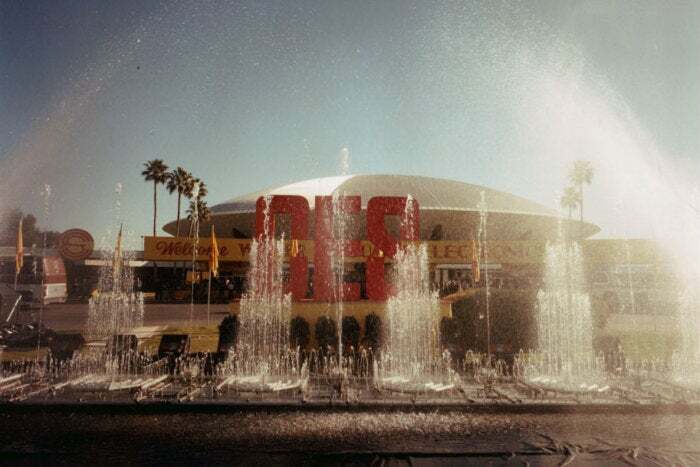 The products might have changed, but the CES experience remains much the same in the 21st century as it did during the show's third year in 1969. 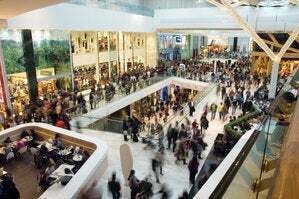 Manufacturers pack their wares into flimsy wooden and metal booths and hawk them to buyers and the media, hoping to find the next hit product. Is there any doubt the '70s are in full swing when you take a look at the carpeting color scheme from CES 1972? Red and orange blanketed the show that year and welcomed around 40,000 visitors. The event was becoming popular and was just a year away from being held twice annually. 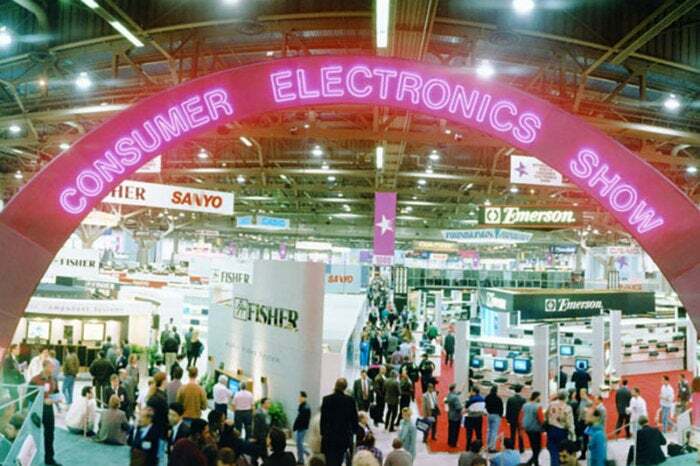 A visitor to CES in 1973 would encounter brands that are still common today, such as Panasonic and Sharp, but many that today are simply signs of another era. In this photo, you can see brand names that are no more including Electrophonic, Olympic, and Mayfair. In the back is Midland, once a major CB radio maker. The brand still exists today with weather and two-way radios. 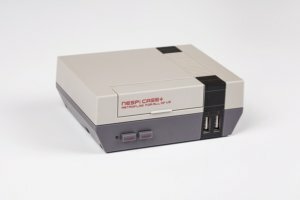 By the end of the 1970s, CES had firmly established itself as a major consumer electronics show and even begun to attract home computer makers. 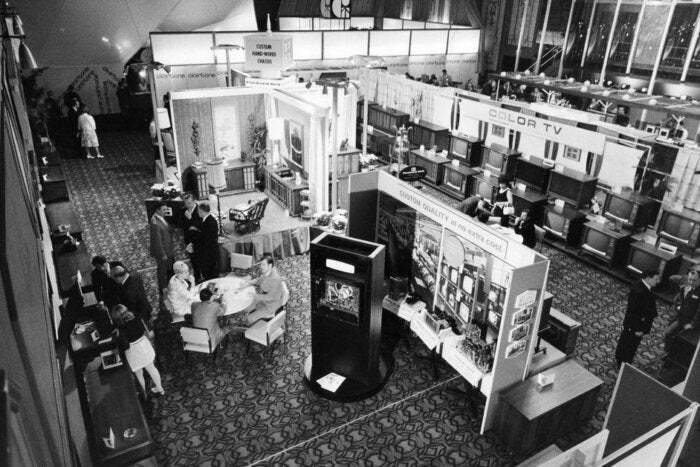 Computerworld noted in 1979 that the event attracted around 30 computer and peripheral vendors, including Apple, which set up in a nearby hotel suite to show its wares. CES has always been about business, and these old photos reveal just how much business attire has and hasn't changed over the years. You'll still see a lot of suits on the CES show floor, but business casual has become popular. One thing you'll see less of is briefcases. 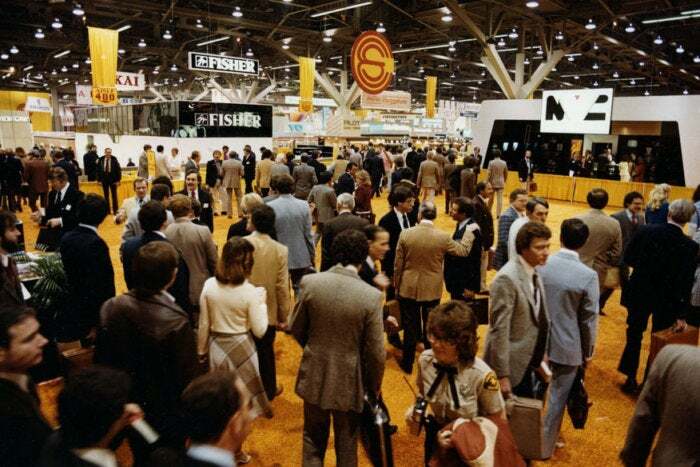 At CES 1981, the photo shows most attendees carried them, but the emergence of smartphones and websites has largely done away with the need to carry lots of documents around. 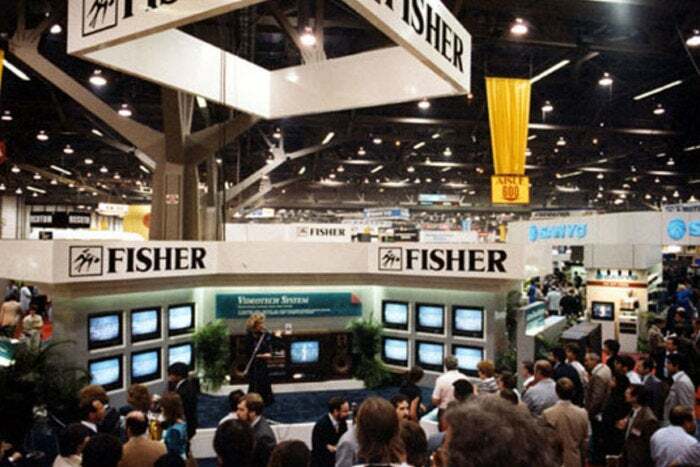 If you look back at many of the pictures of CES from the 1970s and 1980s, one name keeps standing out: Fisher. It started as a U.S. company but became part of Japan's Sanyo Electric in 1975. 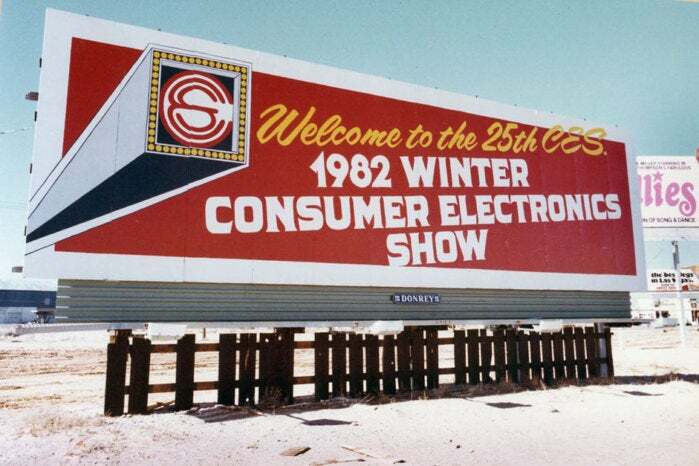 It was a major force in consumer electronics and here, at CES 1986, the company is promoting its televisions. Before the cellphone came the cordless phone. It would become a staple in many households before the decline of landlines. 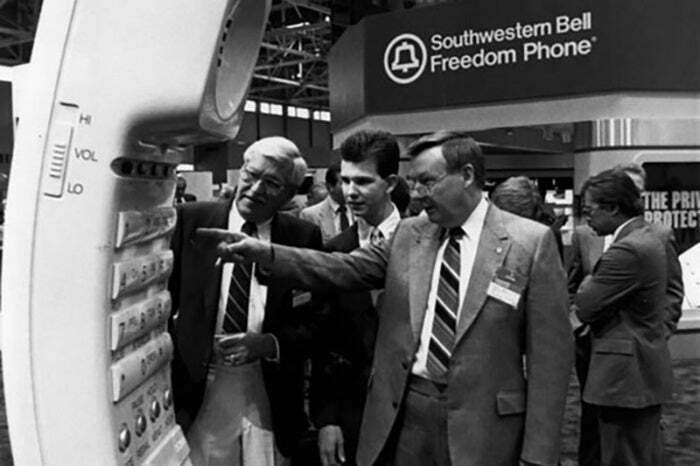 In this picture from CES 1989, attendees are examining a Freedom Phone from Southwestern Bell, one of a number of former telephone companies in the U.S. that would eventually become part of AT&T. 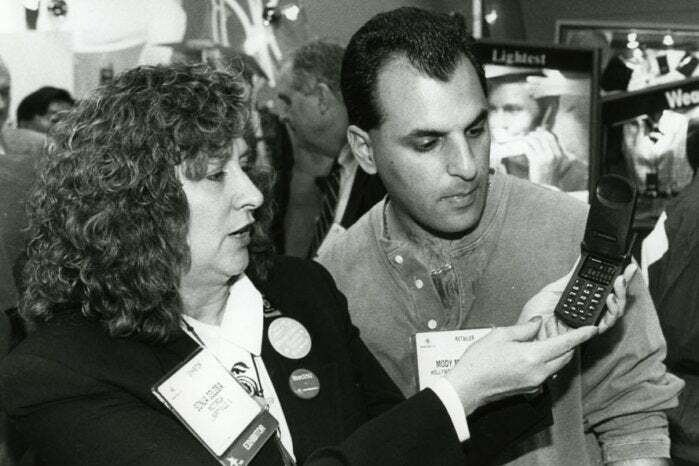 Today's smartphones would be unfathomable to attendees at CES 1996, where the rage was the new Motorola StarTac. The first flip phone on the market, it was an early taste of the connected life that was to come. It makes us wonder just how different the phones, if they are even called that, of 20 years from now will be. The Consumer Electronics Show continued to be held twice a year through the '80s and into the 1990s, as this photo from 1990 shows. But the days of the summer show were numbered. After attendance began to fall, the organizers experimented with moving it around the U.S. beginning in 1995, but that didn't stoke excitement, and in 1998 the summer show was canceled. 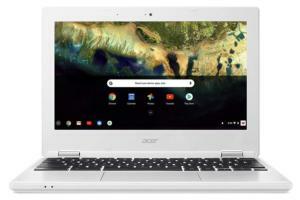 It would never return, and CES settled into its January slot in Las Vegas. 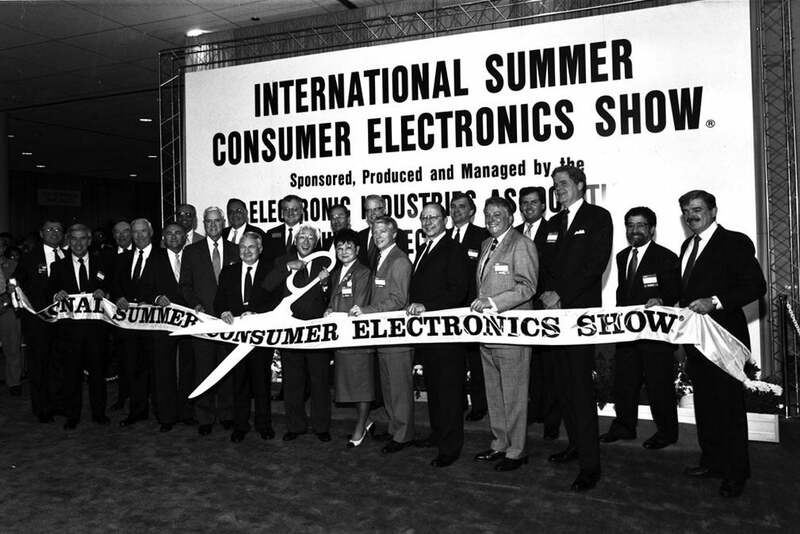 Integrated circuits and miniaturization were pushing the industry forward and at CES 1993, one of the big attractions was personal digital assistants. The handheld devices were essentially early smartphones without the phone part, and the show was used by Casio to launch its XL-7000, also called the Tandy Zoomer.